Terry Garland - Double Feature! "The One To Blame" & "Trouble In Mind"
Everyone has to pay the piper or the fiddler or somebody for having too much fun! One is responsible for one's own actions, see above :(. Trad. Arr. Lloyd Price / Harold Logan © Leosong Copyright Service Ltd.
Song about New Orleans, makes for good openers. One of the few Robert Johnson songs I can understand, and play. Champion Jack Dupree © Carlin Music Corp. I picked it up from Champion Jack Dupree. In my 3 wonderful days with him; May '91. Trad. Arr. McKinley Morganfield © Bug Music Ltd.
Another song recorded many times I only try to put my spin on it. James. 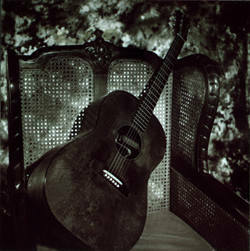 B. Oden © MCA Music Ltd.
1st heard on an LP by Ray Charles in 1959 or 1960, I always liked it. Jack H. Clements © Polygram Music Publishing Ltd. I had this on a Sun 45rpm "B" side in the late '50's when I was about 6 or 7 - drove me crazy! Written by me for a close friend who passed away - and for all people out there who had a friend who passed away. McKinley Morganfield © Bug Music Ltd.
Terry Garland & Mark Wenner live in Belgium - Getting To Know You. 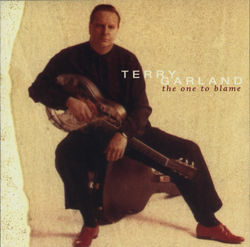 Terry Garland - vocals, National and acoustic guitar. Bruce Couson - piano on tracks 4 and 9. Rich Moncure - trombone on track 6. Issued under license from Terry Garland. 1996 Demon Records Ltd. © 1996 Demon Records Ltd. Brentford, Middlesex, TW8 9HF. Manufactured in England. Order now! 15.00 each, 3.00 shipping, 4.00 UPS. Autographed copies 22.50 plus shipping.